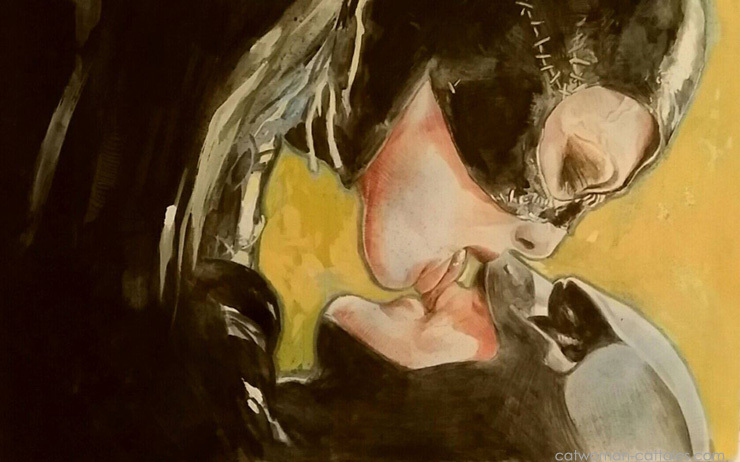 Michael Keaton and Michelle Pfeiffer had the chemistry fans expect from Bruce Wayne and Selina Kyle, and Tim Burton grasped the sexual tension that define Batman and Catwoman, capturing it in iconic, sizzling visuals. Romano Molenaar captures the rooftop kiss worthy of the couple here. You can enjoy the earlier work that first caught our eye in the Solo Gallery, and see more of Molenaar’s amazing work on his Facebook page. A full website is coming soon.